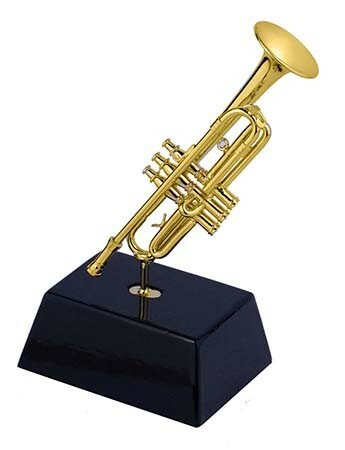 Miniature Trumpet on Stand – Buy the Miniature Trumpet on Stand for a trumpet player or that music lover in your life! This unique replica is made with stunning detail! With a heavy duty base and felt bottom, this mini will always stay in place. A great accent piece for the home, office or music studio. Made of metal. Approx. 5″. Music Gifts for Trumpet Players!